I cannot connect to our SonicWall NSA220-W firewalls with any browser. They all produce errors, as shown below. All the fixes I can find say “try another browser” or get on the SonicWall to change settings, but I am unable to get onto them. 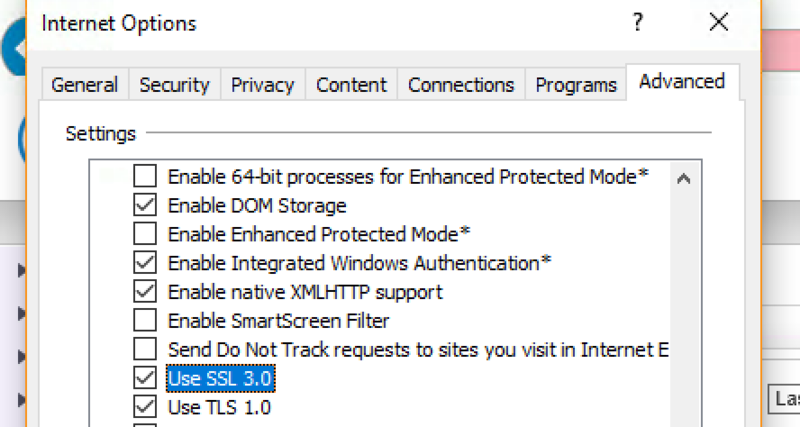 I tried the following Firefox changes which did not work: http://www.ryananddebi.com/2014/12/10/bypassing-the-ssl_error_no_cypher_overlap-error-in-firefox-34/. Also tried following and did not work: https://support.mozilla.org/en-US/questions/1058193#answer-719770. Any suggestions about how to fix this? Turn on TLS 1.0, TLS 1.1, and TLS 1.2 in Advanced settings and try connecting to https://x.x.x.x again. If this error persists, it is possible that this site uses an unsupported protocol or cipher suite such as RC4 (link for the details), which is not considered secure. Please contact your site administrator. Upgrade SW firmware. For Gen 5 use 5.9.1.x. For Gen 6 use 6.2.4.x or later. Disable “Enable RC4-Only Cipher Suite Support” in the SW diag page. Be aware that unchecking this box might cause the sonicwall to reboot.